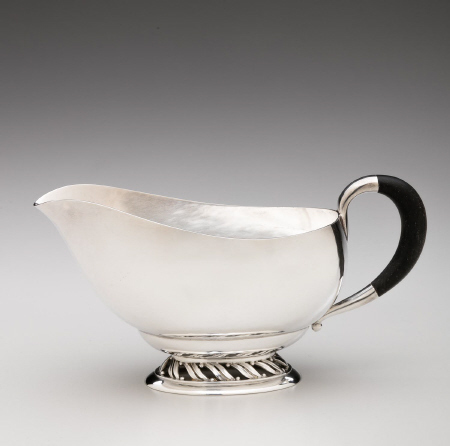 Georg Jensen Gravy/Sauce Boat No. 435B. 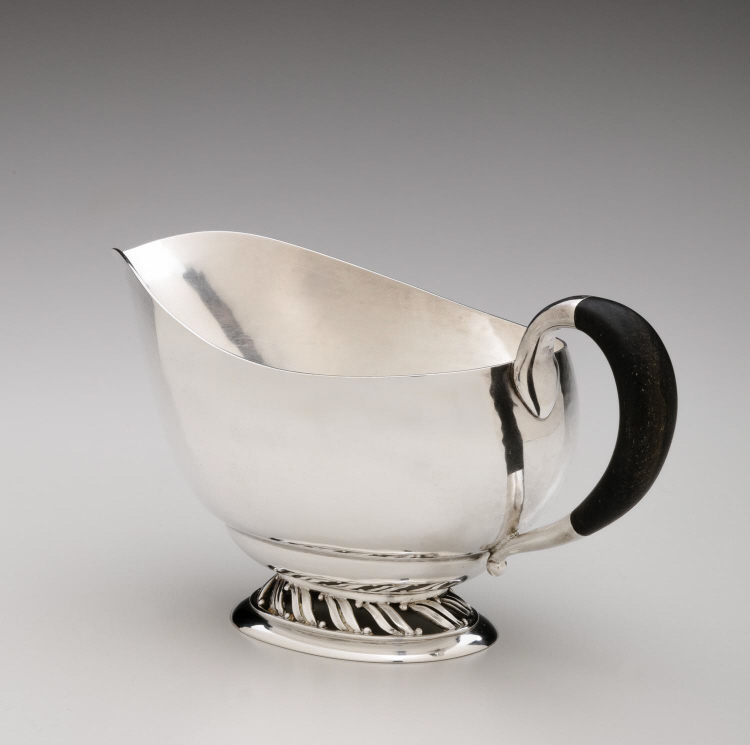 This gravy boat was designed by Johan Rohde in the 1920's. 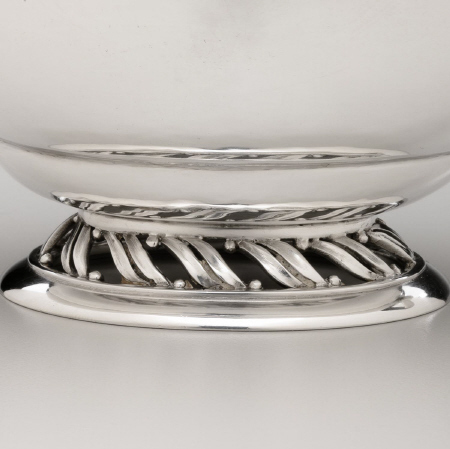 This piece measures 6 inches long and 3 inches tall. 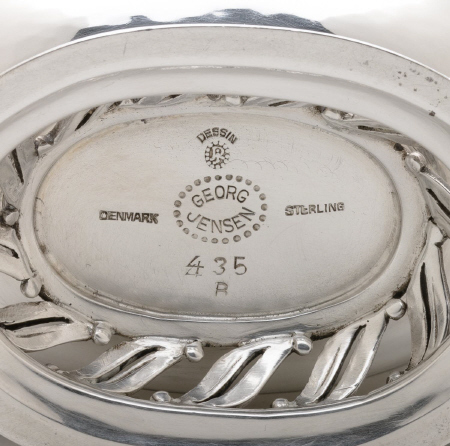 The gravy boat bears impressed company marks for Georg Jensen circa 1945-1977 (see additional images), Sterling, Denmark. This sauce boat is in excellent condition.